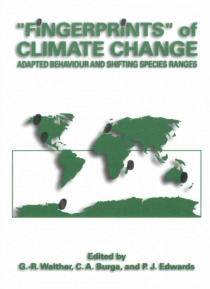 In recent years an increasing number of studies have been published reporting observations of adapted behaviour and shifting species ranges of plant and animal species due to recent climate warming. Are these `fingerprints' of climate change? An international conference was organised to bring together scientists from different continents with different expertise but sharing the same issue of … climate change impact studies. Ecologists, zoologists, and botanists exchanged and discussed the findings from their individual field of research. The present book is an international collection of biological signs of recent climate warming, neither based only on computer models nor on prediction for the future, but mainly on actually occurring changes in the biosphere such as adapted behaviour or shifts in the ranges of species. `Fingerprints' of Climate Change presents ecological evidence that organisms are responding to recent global warming. The observed changes may foreshadow the types of impacts likely to become more frequent and widespread with continued warming.